Lai Yuen is a classic amusement park in Hong Kong. It first re-appeared on Central Harbourfront in 2015. 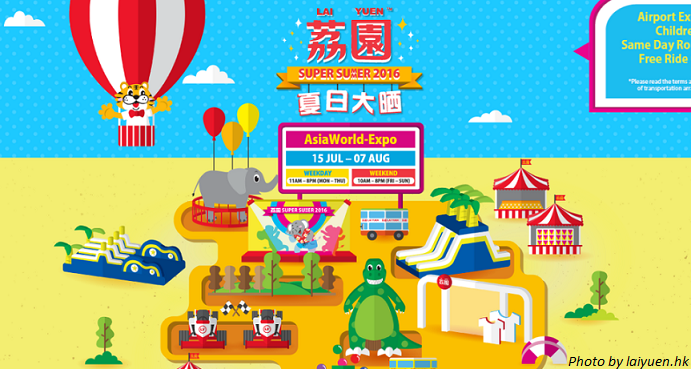 Lai Yuen 2016 will launch a series of new games for all ages and all levels of excitement. The park covers an area of 20,000 square meters, of which 11,000 square meters are indoor, while 8,000 square meters are outdoor. There are 7 major attractions including XRACE, Inflatable Mad Dash, Lai Yuen x Yo-Kai Watch Incredible Journey, Happy Summer with Sofye, Lai Yuen x Sofye’s Fantasy World, Petite Family Garden, and ChariTEE. Hong Kong first electric go-kart race track will be set up in the outdoor area. The 650-meter long circuit is designed by Miguel Schumacher’s track designer, Michael Kolbinger. The Park will introduce the brand new RiMO kart from Germany, one of the highest performing and safest kart in the market. The fastest speed is 50 km/h. The lap race of every participant will be recorded. 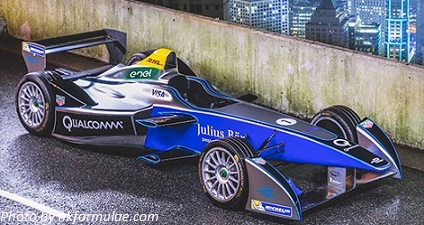 The champion, the one with the fastest lap race in the whole event, will be offered two admission tickets of 2016 FIA Formula E – HK e-Prix. To enjoy the karting, you have to book online. You can also challenge enjoy Hong Kong’s longest indoor obstacle inflatable courses, the track is up to 110m long. Yo-Kai Watch is a popular Japanese television animation released in Hong Kong. Come to Hong Kong first Yo-Kai Watch Land to meet different characters and play games with them. You can see the large-scale installation art of Sofye at the entrance of Lai Yuen. Sofye, designed by a local illustrator, will accompany you to find treasures in the Park. In addition to the installation art, a delightful maze will be set up to let visitors find more about Sofye and her friends. The garden is to make parents and children together to participate in different kinds of activities, including handcraft making, science experiments and parent-child communication workshops. Everyone can design their own Tee here! This activity is very meaningful because the profit of each Tee will be donated to Heifer Hong Kong, a charity helping the hunger and needy families. Moreover, the most iconic dinosaur, Dino, and Tino the elephant will once again meet with you. You can’t miss Bumper Car and Lai Yuen Grand Stage. There are other amazing and exciting game stalls. You are sure to have fun here. The venue will be moved to AsiaWorld–Expo in Chek Lap Kok in the proximity of Hong Kong International Airport. 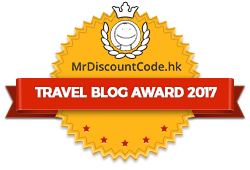 Are you planning to enjoy a different summer holiday in Lai Yuen? Please feel free to leave us comments or contact us if you have any questions. Thank you for reading this post. Please like us on Facebook and share our post! WORST WASTE OF MONEY IN HONG KONG. If you want to pay a lot of money $280 / 8 min race and be 100% dissatisfied and a total waste of your time and money, then this is the place to come. ASIA-EXPO XRACE LAI YEUN at the HKIA. Firstly, you enter a white storage shed to speak with the pimple faced Chinese kid who clearly is their because he is cheap labour. It costs $280 hkd/ race and you pay for whatever session time they allocate. I asked to be put on the track with other drivers for which they responded, “It’s not a RACE”. Yet, their T-shirts and posters clearly are called, “XRACE”. I paid the fee and then was told to attend a 6:15 min video describing the safety aspects of the “race” , for which I was about to participate in, with other drivers no less. After watching this video which is ridiculously contradicting, you are then sent to the area for your helmet and neck brace. I was then told what car I was to be “racing ” with. We were all delegated a certain car and yet the Chinese driver who was clearly part of the crew, was given the lead car and was personally seen setting up his car for the race with a laptop. I’ll get back to him shortly. We then strapped in and prepared for the race. The cars were turned on and the first lead car (Chinese crew member) was allowed to start first and yet we others sat and waited. After he clearly was leading the race, then we were allowed to begin. The cars are electric from Germany and quite frankly, very nice and brand new. I have raced all over the world and these were nice, except they were programmed to drive less than 20KPH. It was the most pathetic and clearly slowest race I have ever driven on. Disneyland has faster cars in their children’s ride” Autopia” ride. It was clearly the most pathetic race track I have ever experienced but for Chinese people, probably the best experience for them. After 8 minutes I was so happy to be finished. It was pathetically slow, over priced and if you enjoy 18 year old staff telling you what to do and how to drive, then this place is for you. Back to my earlier comment about Chinese driver cheating. This track has a competition that whoever has the fastest overall lap time on record will receive 2 free tickets to the upcoming E-series FIA race later this year in HK. Well, typical Asian events, which in my experience are full of liars and cheats so making sure the Chinese driver, who is part of the crew, get the faster car because it was programmed that way, guarantees him the tickets. Typical Asian, cheaters and scammers. Headline…”Chinese drivers caught cheating”. If you want to waste your time and money this July and August in Hong Kong, try this pathetic race and it will surely disappoint. Trust me…it’s a joke. You’ll thank me later. Your disappointment is understandable. This go-kart is designed for the general public instead of professional racer. For safety reasons, the speed limit is set at 50 kph and there is a leading car. But at least you can experience the brand new German go-kart. In addition, it is quite unfair to discriminate against Chinese or Asian people. Perhaps you can participate in an automobile racing back in Europe.